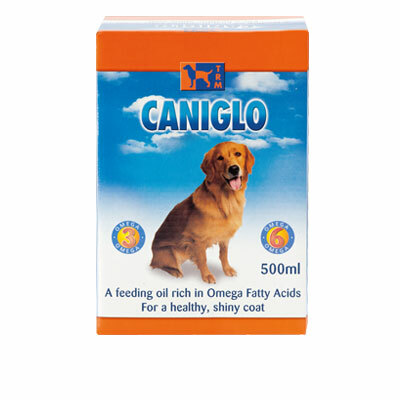 CANIGLO is a liquid feed supplement manufactured with pure Cod Liver Oil. CANIGLO is a liquid feed supplement manufactured with pure Cod Liver Oil. It is rich in the Essential Fatty Acids Omega 3 and 6. These cannot be made by the body and must be provided in the diet. 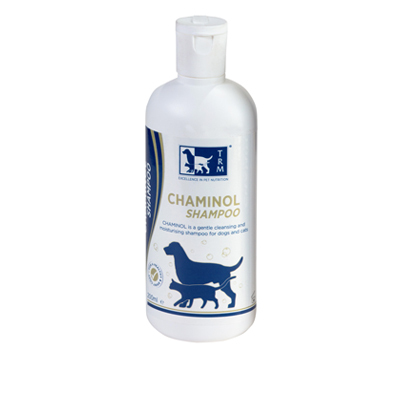 An adequate intake of Essential Fatty Acids will help maintain a healthy, soft shiny coat and good skin condition. Your dog will feel good inside, and look great outside. CANIGLO is a palatable feeding oil, mix well into feed. Small dogs (Up to 5 kg): Feed 2.5 ml – 5 ml daily. 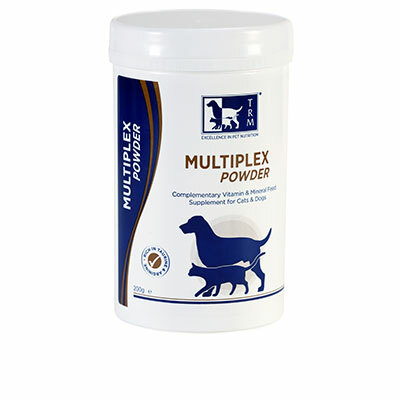 Medium dogs (5kg to 15kg): Feed 5 ml – 7.5 ml daily. Large dogs (15kg to 30kg): Feed 7.5 ml – 10 ml daily. 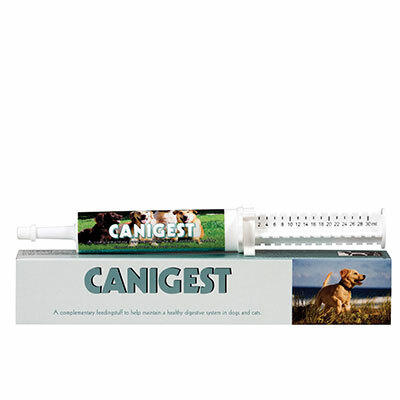 Very Large dogs (Over 30kgs): Feed 10 ml – 15 ml daily. A dosing pump which dispenses 2 ml and a measuring cup are enclosed in each pack. For the maintenance of a healthy digestive system. Vitamins & Minerals for Health and Vitality.